It is getting a little more challenging as the rows get longer, and I'm a little scared about the length of the later rows (from looking at some of the photos from the first challenge group, I'm guessing it might end up with 27 "trips" around the center maybe.) But it's a good project to keep my hands busy while I watch a show and it has been really fun choosing the different fabrics for each row as I go. If you're interested in seeing more of the challenge photos, the hashtag for the challenge is #bgtawc. 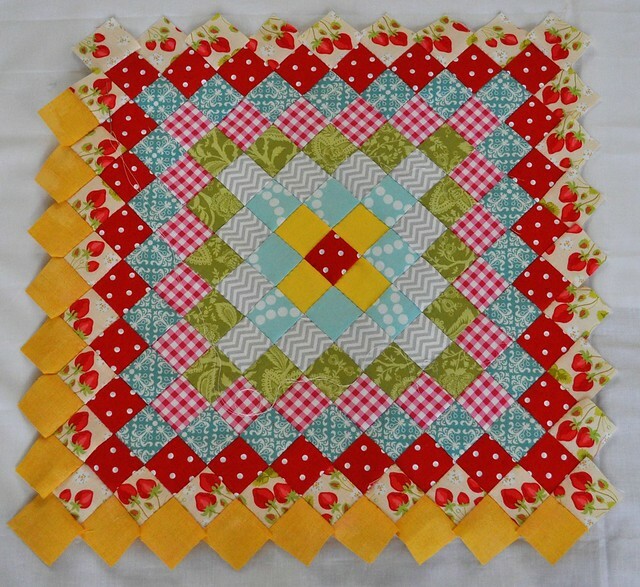 I love seeing all the different versions of this quilt.